What’s more, nearly one in five (19 percent) admit they do not shred tax paperwork or physical documents containing sensitive information before throwing them away. That is according to Shred-it’s 2019 Tax Season and Fraud Prevention Report which reveals taxpayer concerns, habits and insight on information security and fraud awareness during tax season. While nearly half of taxpayers (48 percent) will file their own taxes online via tax preparation software, more than one-third (37 percent) will file with a certified tax preparer. Of those filing with a tax preparer, 44 percent say the person preparing their tax returns has not described how they would store or dispose of documents containing their personal information, highlighting the need for conversations around data protection during tax season. “The Tax Season and Fraud Prevention Report reveals how common these risky tax filing habits are and how they put taxpayers in jeopardy for fraud or identity theft,” said Monu Kalsi, Vice President of Marketing for Stericycle, the provider of Shred-it information security services. These risky habits could be contributing to tax identity theft and tax fraud with the report revealing one in four taxpayers (26 percent) know someone who has been a victim of tax fraud. 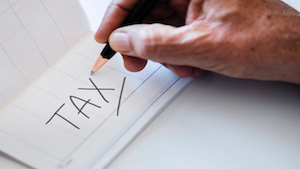 Tax fraud fears hit Millennials the hardest with 43 percent saying they are worried they could become a victim of tax fraud or tax identity theft, compared Baby Boomers (34 percent) and Gen Zs (33 percent). Despite concerns around filing taxes online, Millennials (54 percent) are the most likely to say they will file their taxes online with tax preparation software, followed by Baby Boomers (45 percent) and Gen Zs (43 percent).